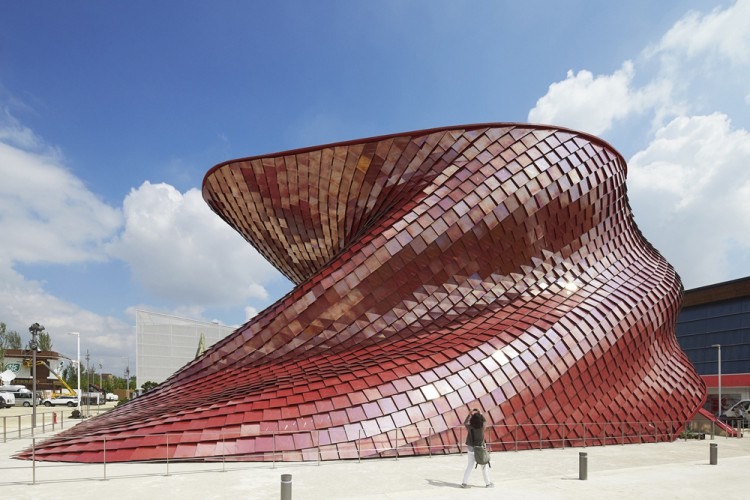 Renowned architectural photographers Hufton+Crow have captured Daniel Libeskind‘s dragon-inspired pavilion in a series of photos that highlight the shimmering tiles. 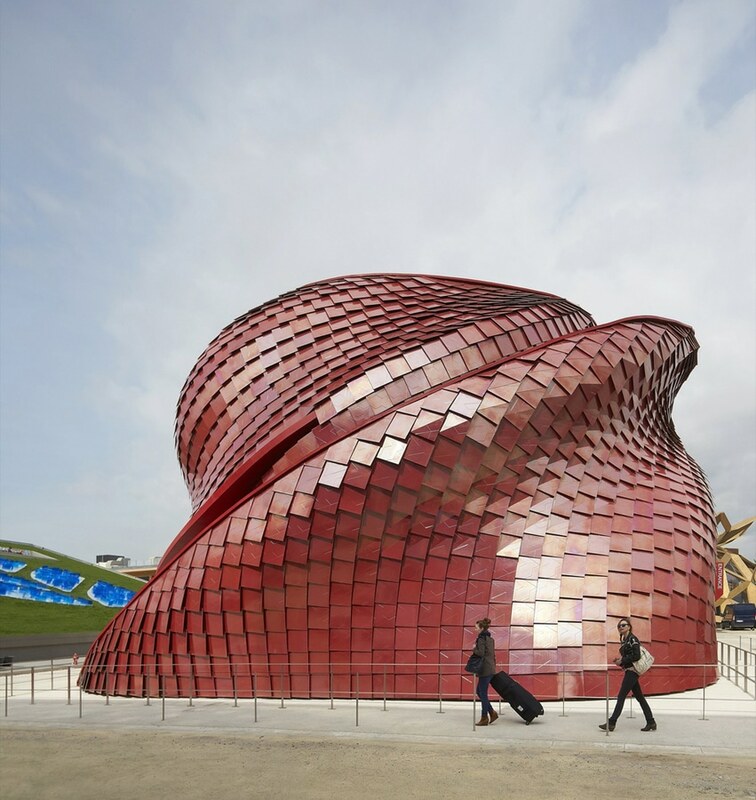 The pavilion, which is currently welcoming visitors at the Milan Expo, was designed for China’s largest property developer Vanke China. 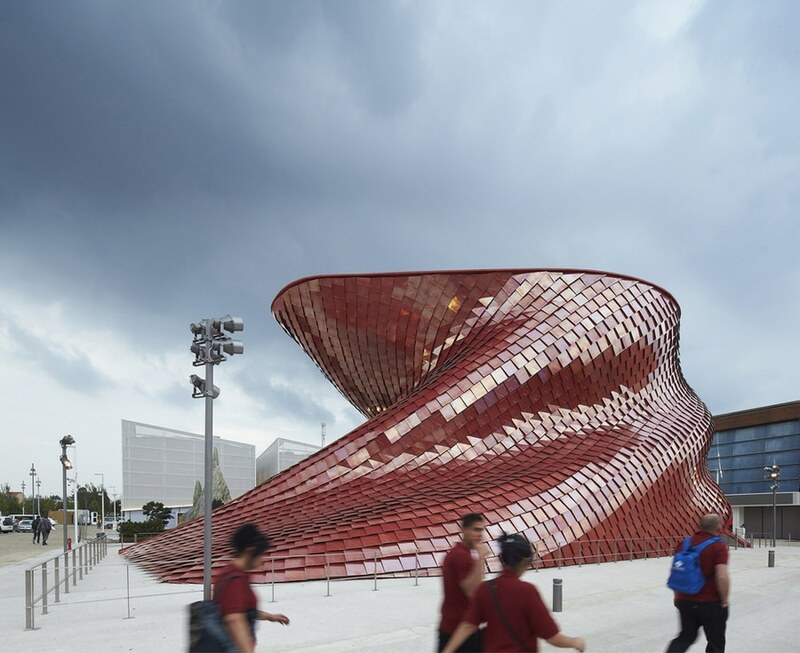 In line with the expo’s theme of “Feeding the Planet, Energy for Life”, Vanke addresses ideas surrounding the role of food in creating connections and building communities. 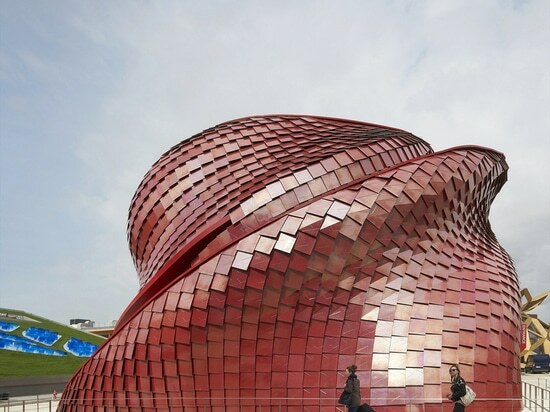 The pavilion draws upon three elements of Chinese culture: traditional Chinese dining halls (shi-tang), the landscape as a source of life and the mythical dragon whose origins stem from agriculture. 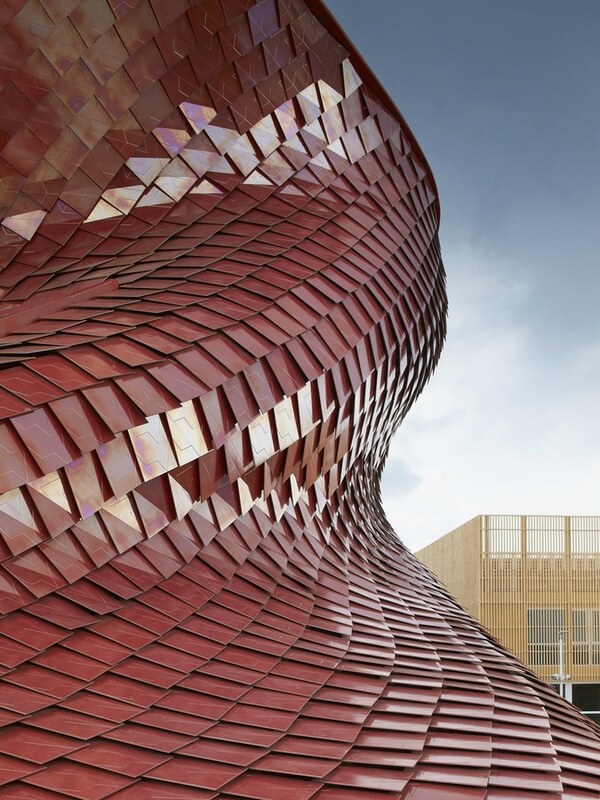 The latter inspired the pavilion’s serpentine exterior, which is clad in four thousand ceramic tiles. 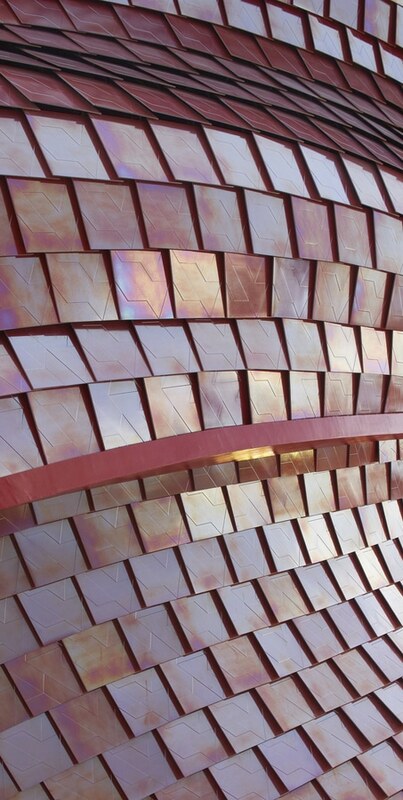 Invoking the skin of a dragon, the tiles have a metallic surface that changes from red to pink to gold to white depending on the angle. 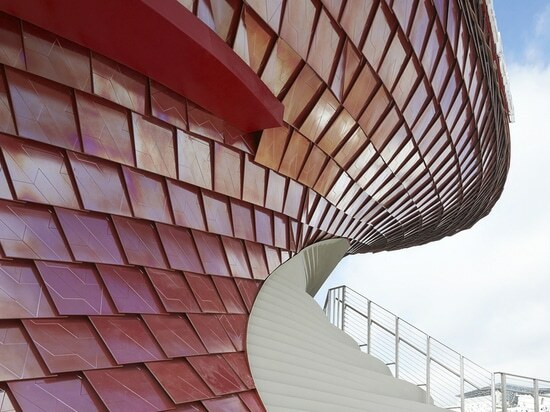 A swirl of concrete stairs cuts through the tiled exterior to sweep visitors inside where they are invited to follow a lit path that is surrounded by a reflecting pool. 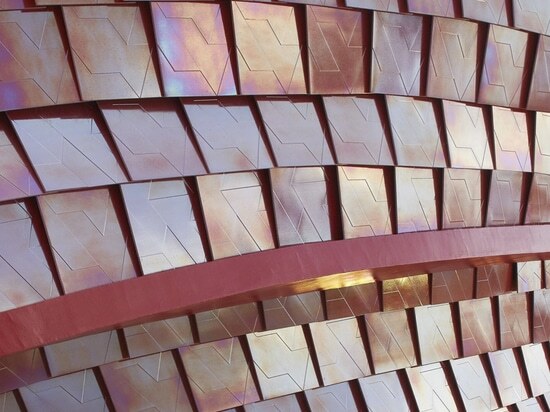 Approximately two hundred screens mounted on a bamboo scaffolding offer visitors a visual and auditory narrative to guide them along the way. 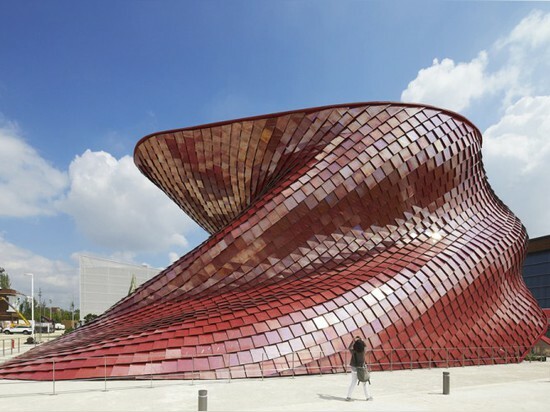 The exhibition is more perceptual than intellectual, calling upon visitors senses to experience the sights and sounds. 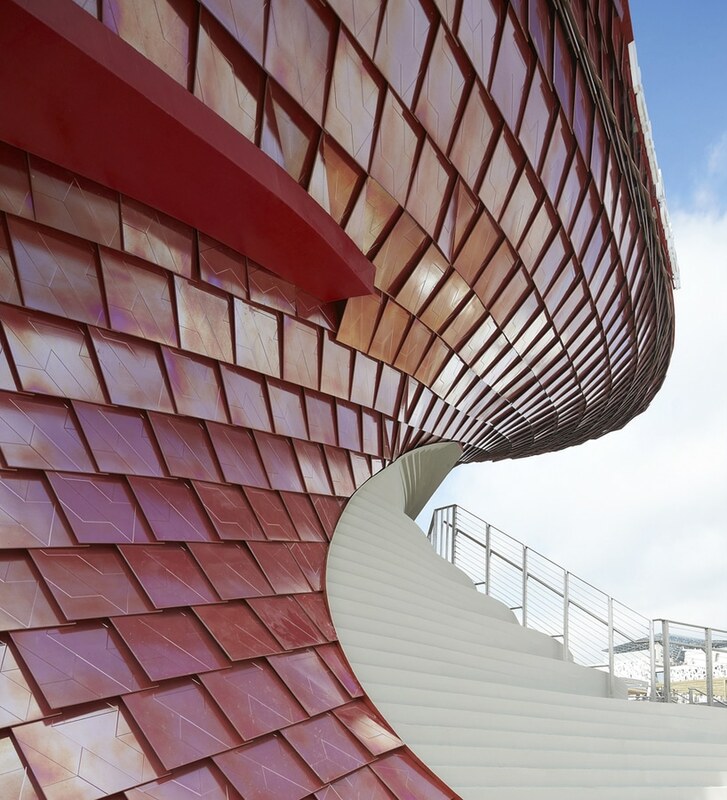 Twin stairways follow the pavilion’s curves and bring visitors to the rooftop where they have a view over the grounds. They also serve as informal seating. In addition, the second floor of the pavilion contains an events space and VIP room. 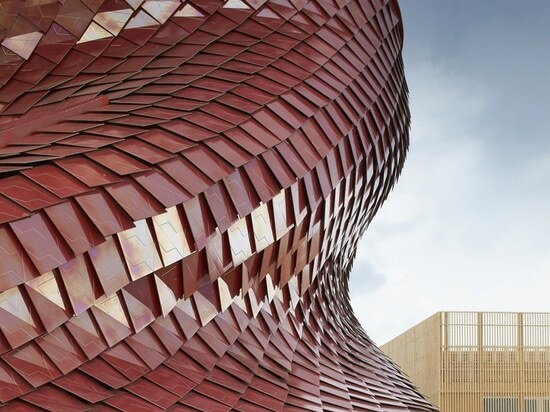 The Milan Expo runs through October 31st, 2015. Check out more images of the Vanke pavilion below.